At Kingsdown, we understand passion. It describes how we feel about delivering smarter sleep for our customers. 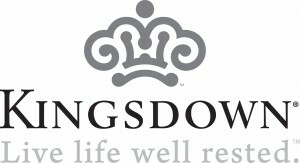 Kingsdown Passions mattress collection is the realization of that passion in a gel sleep collection that makes smarter sleep available for everyone. From the gel-infused performance fabric and proprietary cushioning layer to the superior support from our wrapped innerspring coils, Passions mattresses combine the most advanced technologies for healthy sleep.